After 18 seasons as the head coach at OU, Bob Stoops announced his surprise retirement last year. The speculation for the sudden retirement goes from health issues to wanting to spend more time with his sons that are seniors at Norman North HS. 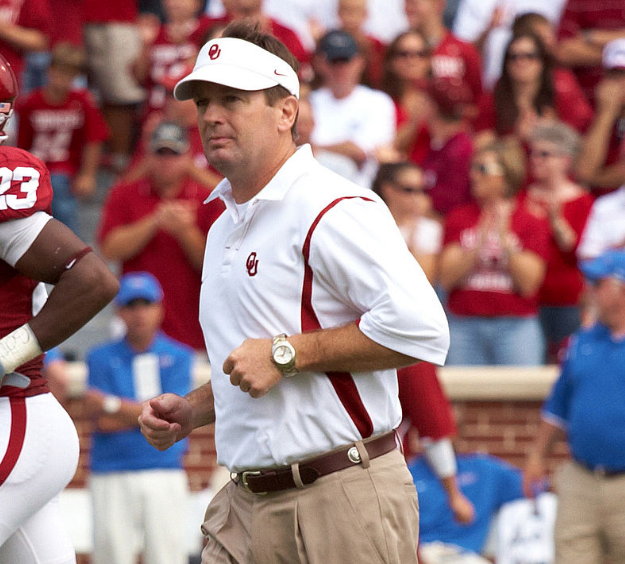 The reality is that Stoops has never matched the success from his early years at OU. A more recent National Championship might afford him more leverage to see his sons star on their HS team without facing the wrath of rabid fans. One quick view of his head coaching record and the numbers are impressive. Stoops won nearly 80% of his games with a career record of 190-48, but one glaring issue exists. 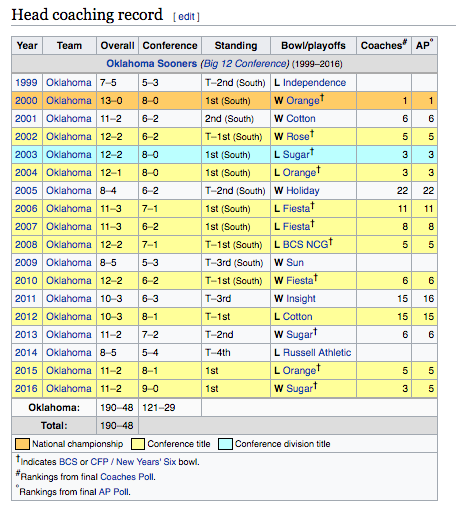 Stoops had his best year in 2000 when OU went 13-0 and won the national title over FSU. His second best season was in 2004 when his team went 12-1. Ending with that year, OU went 60-7 over a five season period winning 90% of their games. The lowest AP ranking during that time period was #6 while the highest ranking since is #5. The 2004 season ended the era in the 55-19 route in the Orange Bowl with USC winning the national title over OU. 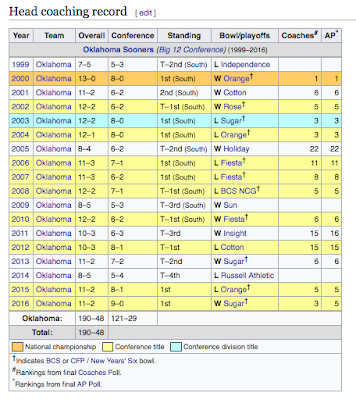 Maybe Stoops set the bar too high in the early years, but OU fans have generally been disappointed ever since that championship game following the 2004 season. The recent 2015 20-point loss to Clemson in the College Football Playoff probably didn't help. 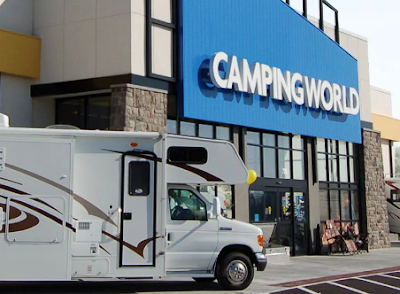 Regardless of the reason, the failure to reach the pinnacle again was a big part of the demise of Bob Stoops whether spending more time with the family or health concerns was the ultimate reason. CVS Health: Is The Amazon Threat Realistic? Under Armour: Can Curry 4 Make A Difference?